What were the primary symptoms you experienced prior to diagnosis? I didn’t experience any symptoms prior to my diagnosis. In fact, my family doctor had done a breast exam 8 months prior and told me my breasts felt normal. What symptom(s) lead you to go to the doctor? I was lying in bed one night and randomly decided to do a self breast exam never expecting in a million years that I would find anything. There it was though…a golf ball sized lump that would change my life forever. 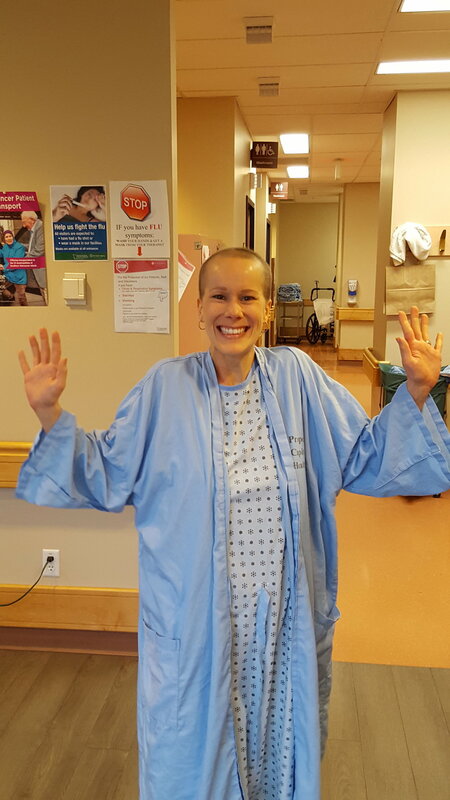 Courses completed: I had a lumpectomy and sentinel node biopsy on June 2, 2016, then went through 8 rounds of dose dense AC+T chemo treatments over the course of 16 weeks, followed by 28 treatments of radiation. Once I finished my primary treatments, I was put on hormone therapy which includes Exemestane pills that I take daily for 5 years as well as a Zoladex injection to suppress my ovaries every 4 weeks. 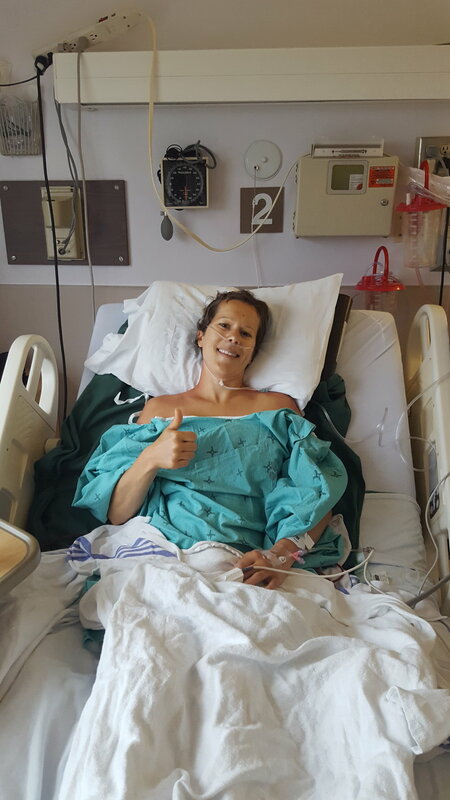 On June 15, 2017, I underwent a preventative bilateral mastectomy with immediate latissimus dorsi flap reconstruction to ensure any remaining cancer cells were gone and am now currently NED! What was your hardest moment (or moments) and how did you you get through it/them? I struggled a lot with the fear of recurrence and being lost in limbo once my treatments ended. I no longer had this security blanket wrapped around me which left me feeling vulnerable. I began sharing my story on social media and connecting with other survivors who made me feel like I wasn’t alone in my battle. It was so inspiring to see how much these women were thriving and enjoying life despite everything they had been through. Any helpful (tangible) tips or tricks you discovered for dealing with your symptoms and/or cancer? Be patient and allow your body the time it needs to rest and recover and make the most out of your good days. The first week after chemo was always the hardest for me but by the second week I was ready to get busy living again and squeeze in as much fun as I could before my next treatment. Don’t let cancer define who you are – enjoy life, smile lots, and laugh at yourself. And on those days where you’ve got the blues – re-shift your focus. If all else fails, just put on some good tunes and throw a dance party in your kitchen. How did your family and friends respond? The thought of telling my friends and family made me feel sick. I didn’t want to burden them with this but I knew that I needed their support now more than ever. When I finally mustered the courage to break the news to my family and friends, they were incredibly supportive and so much stronger than I could have ever imagined. How did/do you find joy during this experience? I started a blog and began sharing my story through social media to help others who were newly diagnosed or navigating their way through life after cancer. Whether it is the good the bad or the ugly, I am very open about the realities of this disease and adjusting back to “normal” life. It has been incredibly rewarding to empower other women to take charge of their health and to open the discussion more around breast cancer. Did you learn anything about yourself? If so, what was it? I learned to slow down and listen to what my body was telling me. Before my diagnosis, I was busy building my career and spent most of my days feeling overworked and overstressed. It wasn’t until I heard the words “you have breast cancer” that I began focusing on myself and my well being. I learned how to be my own advocate and started doing what was best for me instead of what was best for others.